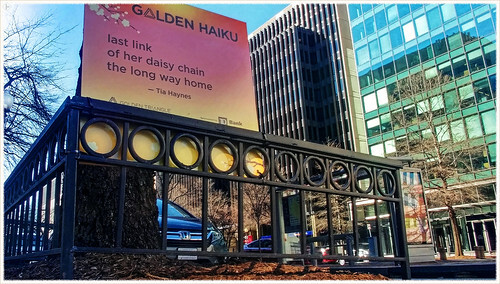 The Golden Triangle Business Improvement District is proud to announce its 6th annual Golden Haiku literary competition. 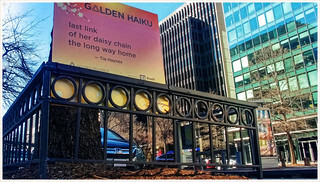 Award-winning haiku entries, along with dozens of honorable mentions, will be featured in tree boxes along some of DC’s most iconic streets throughout March. The colorful signs will brighten the winter landscape as spring arrives creating a magical experience for thousands to enjoy. The haiku entries will be judged by a distinguished panel of published haiku experts. The theme will be “Spring in the City,” but any related theme will be accepted.